S M Ong: Not sure how much hongbao to give for wedding dinner? Don't give! 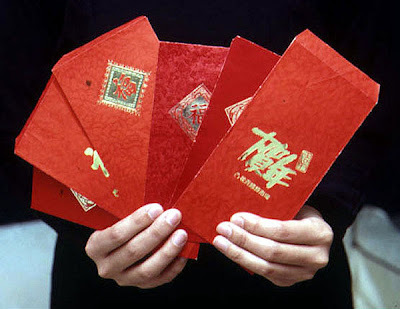 Not sure how much hongbao to give for wedding dinner? Don't give! This was the advice from a wedding consultant in last week’s Straits Times report about wedding hongbao. The advice was flagrantly unheeded by Christopher Lee and Fann Wong, whose sponsored wedding was telecast live on Channel 8 a few days later. They could've sold tickets. The couple’s matching outfits were supposedly inspired by Bollywood, but were more Bolly-wouldn’t. I didn’t attend “The Wedding Of The Year” because presumably, my invitation was lost in the mail. On the bright side, I didn't have to worry about the hongbao. According to the wedding consultant, a guest should “give at least 30 to 50 per cent more than the cost of his dinner”. If I followed this guideline for Christofann’s bejewelled Shangri-La Hotel affair, I estimate that the hongbao alone would cost more than my own wedding and possibly my parents’ combined. The first celebrity wedding I ever attended was that of pre-PCK Gurmit Singh and his wife Melissa back in the mid-’90s. The dinner was held under a giant tent on Fort Canning Hill. Since it was outdoors, I wore shorts and sandals. Actually, that’s not true. I would’ve worn shorts and sandals even if it was indoors in Shangri-La Hotel. So Christofann may have dodged a bullet there. 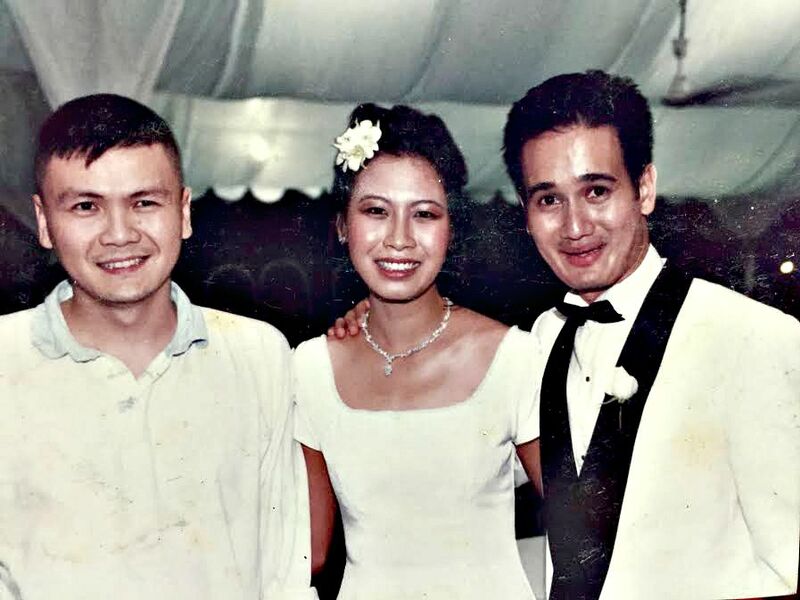 I remember at Gurmit’s wedding dinner, Pyramid Game host Darryl David and his date were assigned to my table, but then he quickly found an excuse to sit somewhere else, perhaps repulsed by my bare knees and naked toes. I tried not to take it personally. I remember going up on stage during the dinner in my shorts and sandals, and making a funny speech, except for the part about Gurmit’s mother, which Gurmit didn’t find funny and told me so. He didn't seem to mind the shorts and sandals though. What I don’t remember is how much I put in the hongbao. Wait, did I even give one? According to the wedding consultant again, it would be “impolite” to “under-give”. So sometimes I sidestep this problem by not giving a hongbao at all. Usually, people are so shocked by my shorts and sandals that they forget about the hongbao. I have no face to lose. I understand giving a hongbao as a form of congratulations, but not as compensation for the cost of the meal - or worse, a donation. Aren't the bride and groom working adults? Why is it on their wedding day, they suddenly turn into a charity case? If they can’t afford to hold a big fancy wedding dinner at the Marriot, then maybe they should do it at McDonald’s. 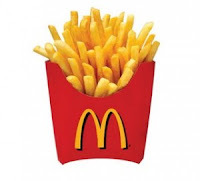 I love the fries! If I invite you to my wedding dinner, all I want from you is that you arrive on time, enjoy yourself and the food, and don't insult my mother. Hongbao, long pants and shoes are optional. But I probably wouldn’t invite Darryl David though. Nothing personal. And if I myself don't ever to a wedding dinner invited again, well, I'll try not to take it personally.